On June 16th, two airliners with very similar call signs both started their takeoff roll towards one another on intersecting runways. Delta flight 1328 and Southwest flight 3828 were both lined up awaiting takeoff when the tower controller cleared the Southwest flight to go. The Delta flight erroneously took the clearance meant for the other airplane and also started its takeoff run. An alert tower controller saw what had happened and directed both aircraft to abort their takeoffs which they did. There was no collision. This is a classic case of mis-hearing an instruction on the radio meant for another aircraft. Listening for your call sign on the radio can be nearly impossible when the frequency is busy. Sometimes you'll only hear perhaps the last digit or two of your call sign. Clearly, that method fails in a case like this when there are such similar call signs. The pilots of both aircraft had been previously advised that another airplane with a similar call sign was on the frequency which they both acknowledged. Errors such as confusing a heading assignment for an altitude assignment, mistaking an altitude assignment such as "two-four-zero" for "three-four-zero", or mishearing a frequency assignment are legion in aviation today. It's easy to do and all pilots have made such errors. Those that say otherwise are not being honest. The vast majority of such errors are caught by either another pilot or controller and have little ill effect. But the potential for mayhem is always there. One of the greatest tragedies in commercial aviation, the runway collision in Tenerife between two 747s resulting in 583 deaths, was due in part to radio miscommunication. There have been many suggested remedies over the years but none were practical enough to use. That could be changing with the introduction of digital data link technology. A new system called CPDLC (controller pilot data link communication) may eventually replace some if not all spoken radio chatter between pilots and controllers. Already in use on some oceanic routes, an onboard data link allows pilots and controllers to relay instructions through satellite communications. Bringing this system to domestic operations could do much to alleviate missed and erroneous clearances. One ongoing concern about the movement towards datalink communications has been concern over the loss of the "party line" effect. When an instruction is given to one aircraft, all other planes on the frequency hear the instruction which helps pilots to build a mental model of where other airplanes are and what they will be doing. 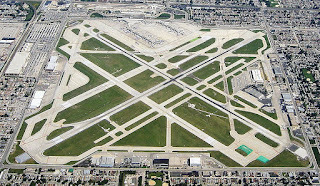 The concern is that with digital communications between just one pilot to the controller over the datalink, other pilots won't for instance know that an airplane has been cleared to land on the runway they might be sitting on awaiting takeoff. There could certainly be work arounds and other methods for ensuring the benefits of shared information through a common frequency are not lost with the implementation of datalink communication. Most likely, high altitude airspace will be the first place for the deployment of datalinks followed by approach and tower controllers as bugs are worked out. If the very common problem of misheard audio communications is solved by use of datalink, a large source of errors dating back to the earliest days of aviation may finally be stanched. 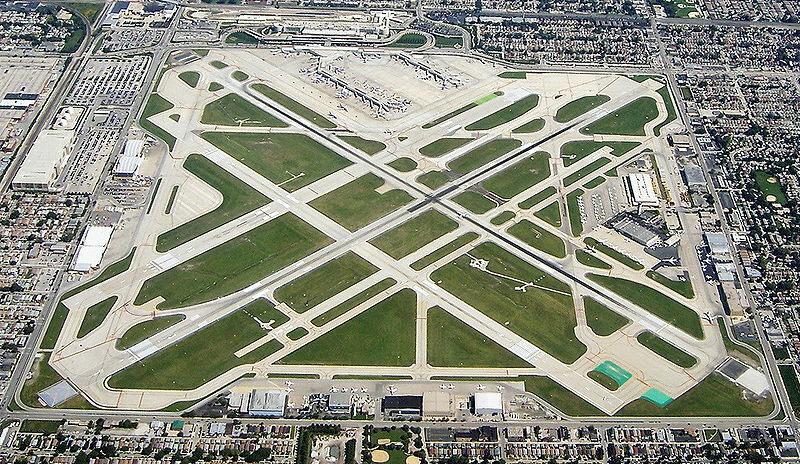 O'Hare controllers (as much as we liked to complain about them) are the best. I wonder if the CPDLC system could combine the current voice communication system with a visual indicator (meaning "I'm talking to you, SW3828"), much like the tones that preceded voice communications on HF transmissions. All pilots would be required to monitor the voice frequency, but not act on any clearance unless they received a simultaneous visual indicator. Of course, that would increase the complexity for the controllers even more. I think there could be quite a few such workarounds to keep the advantages of party line communications. Perhaps something like a text message or green light to accompany a takeoff clearance as you mentioned. I'm sure it'll get worked out.